Discussion in 'HP' started by Graedon, Dec 8, 2017. Dang man I traded it sorry. Got a desktop with 8700k. All good. 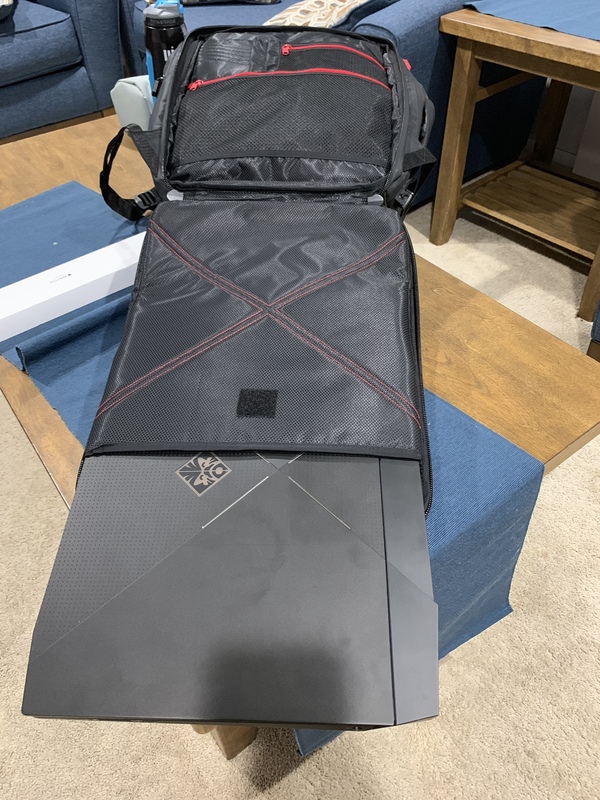 Hopefully someone in this thread can help out lol..
Decided to let my OMEN go and build a desktop, if anyone is interested let me know, I can ship it UPS. Sweet, just built a desktop back in August with an 8700k and gtx 1080. 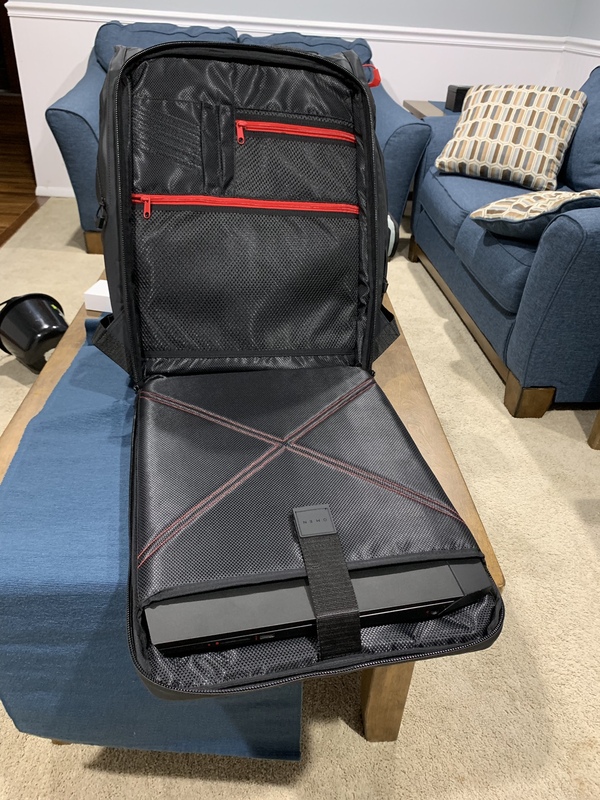 Still keeping my omen for "portability" (mainly from floor to floor) since my portable option (mid 2012 macbook pro with an hd4000) isn't running anything other than 10 year old games . I remember those everki pockets being padded. 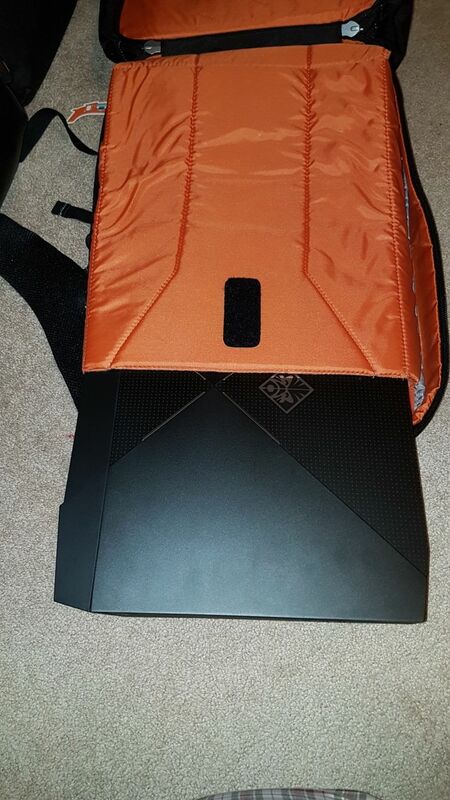 In any case, you could technically get this "sleeve" but i'm sure it's overkill with the titan. As you can see, the Titan swallows the Omen X with room to spare, I'm wondering if I should have gone with the slightly smaller Beacon? Thanks for the pics! 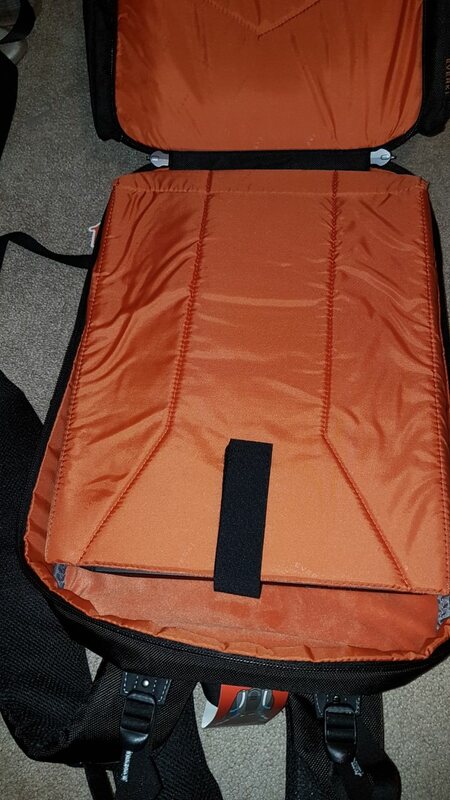 also, wait ... yours came with a backpack!? I agree, i think the pricing is all funky on it, they started out at 250, then permanent markdown to 199 with a permanent discount at $179.... now it's down to $149 lol. I got my hands on it at micro center, it's actually pretty sweet but it's still up in the air at this point. 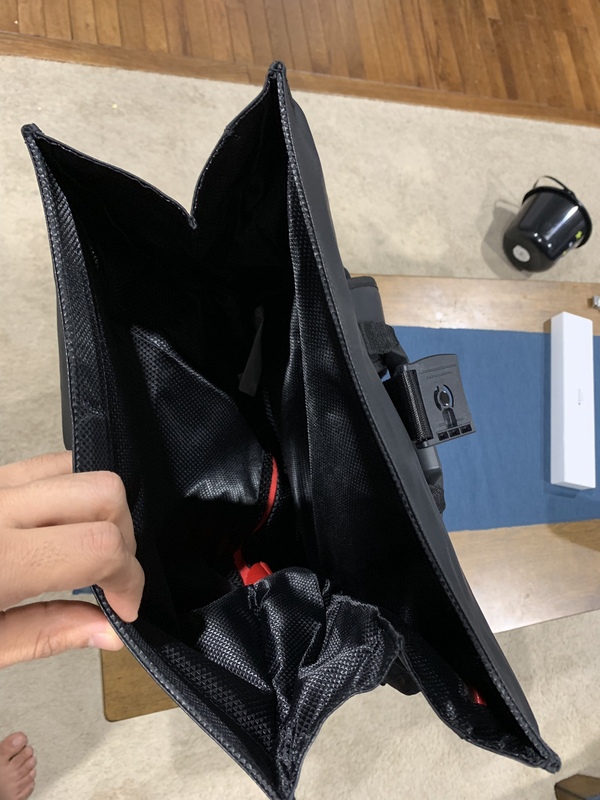 Regarding the sleeve... based on the specs alone, it sounds like you won't be able to fit it in the 17 in sleeve (Omen X 17 Dimension : 16.7 x 12.9 x 1.4 in vs Lid: 16.5” x 11.0” x 1.58”. 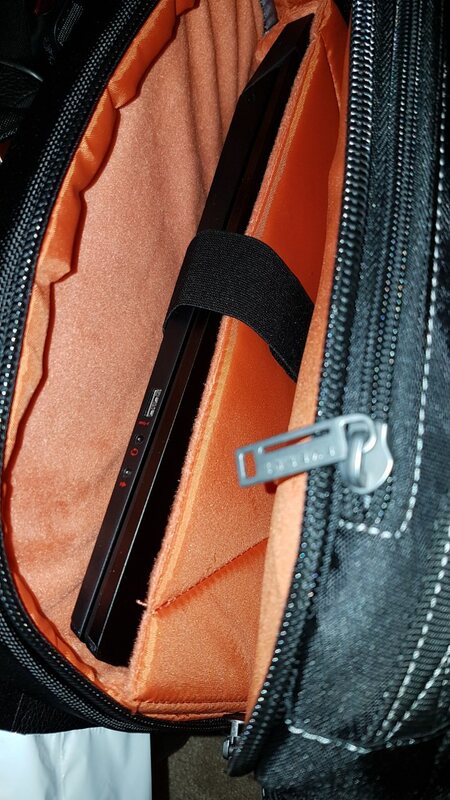 i'm sure you could put it inside the compartment but now inside the backpack's built in sleeve. 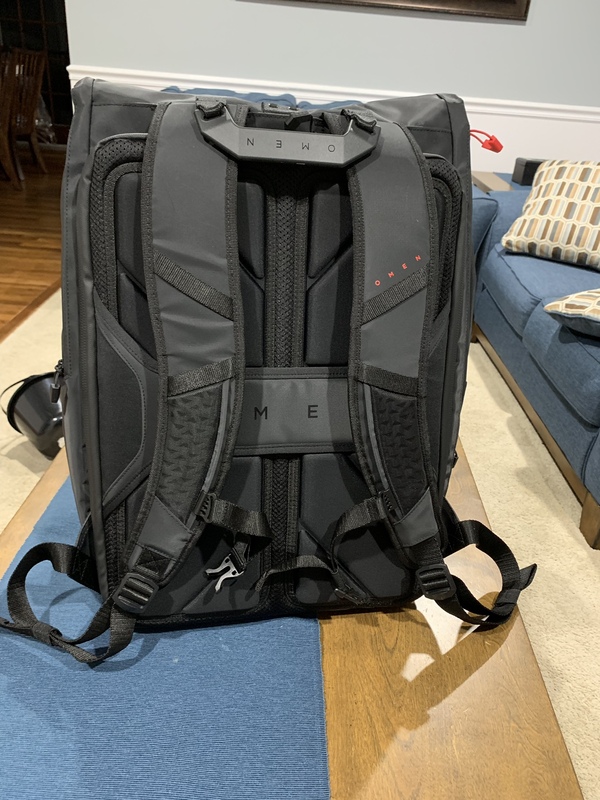 It looks like Omen X backpack just got an aggressive markdown - still listed at 200+ on Amazon but it's $130 on HP. Mine is out for delivery, I'll update with pics once it gets in today. 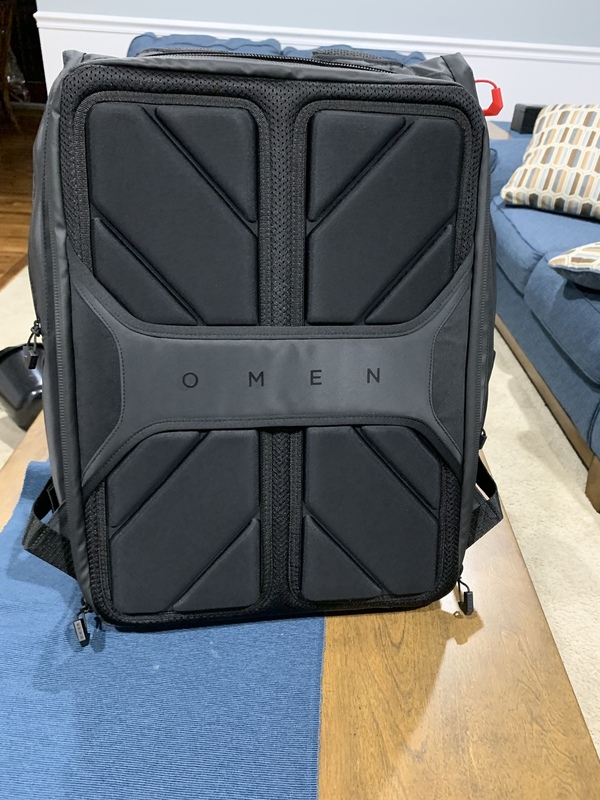 Finally got a chance to test out the omen x transceptor backpack. 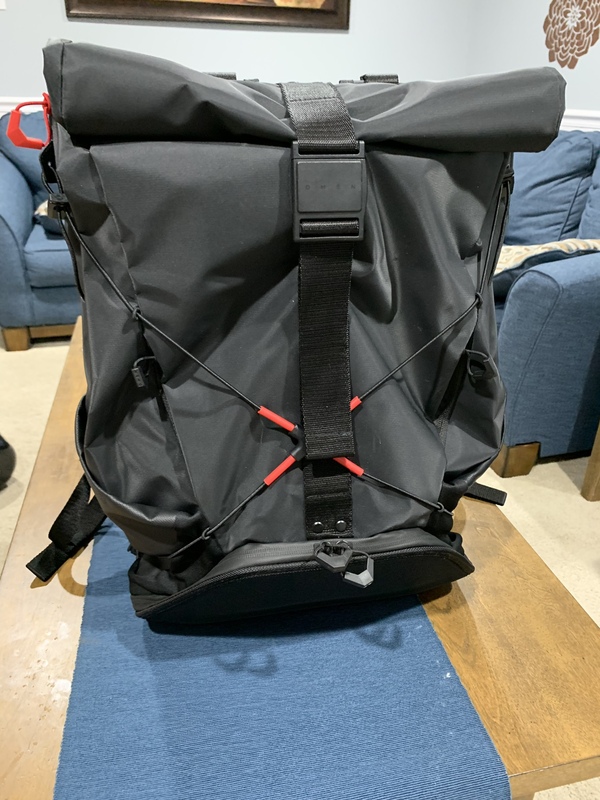 This thing is built tough, tough materials, solid stitching (and double stitching), along with padding and straps all over. 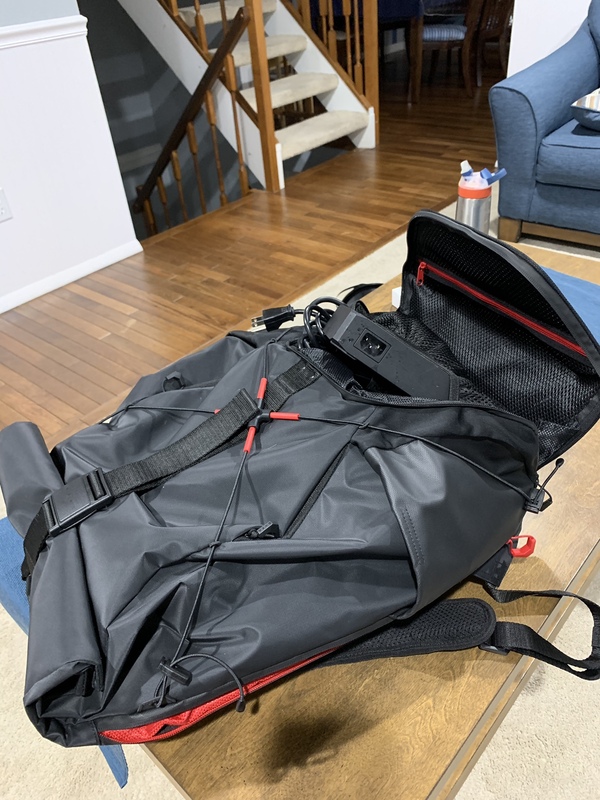 It definitely isn’t a small bag by any means and it’s not as subtle as my north face router backpack but it also is meant to carry a crap ton of stuff. 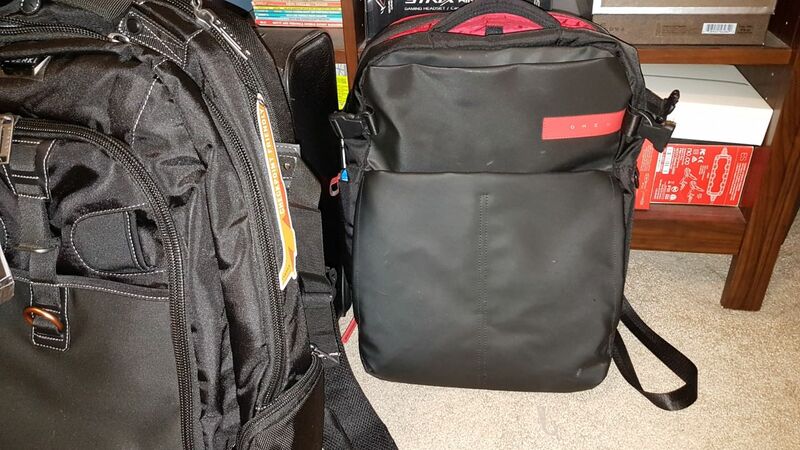 Imo, it’s right at the edge of gaming and casual backpack territory. Would you stand out in a crowd with this , probably ... yes, is it as obvious as an AW or msi, no. 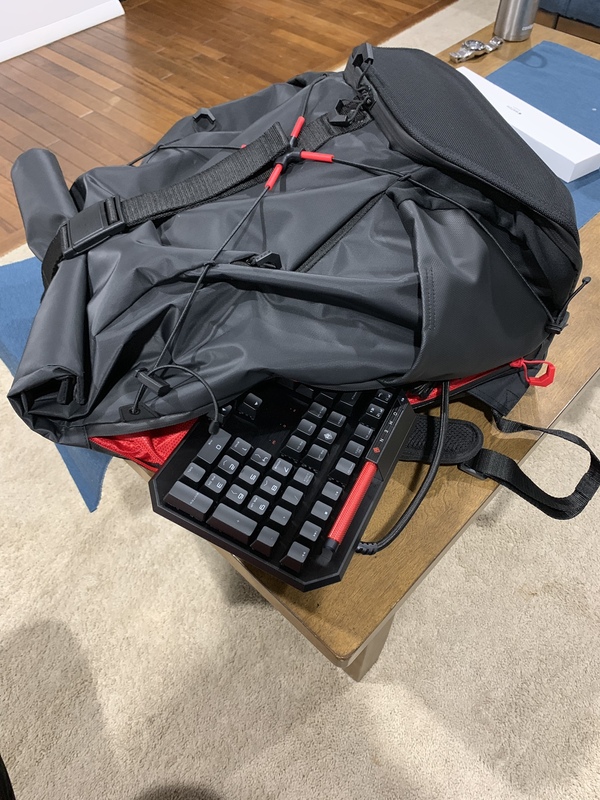 I was able to stack a full size keyboard and honestly you could cram another full size keyboard next to it. The hard shell is advertised for headphones although, I’m too paranoid to just leave any headset just dangling in a compartment. I have mine in a molded hard shell , which I just toss in there along with the massive brick and a ds4 controller and a mouse. Ok so im the new owner of an omen x laptop,i was wondering if kryonaut is enough to repaste both the cpu and gpu or i need to go into LM (CLU) for better temps? I personally have just done a repaste with Gelid Solutions paste and an undervolt and i'm good, others have done LM.